HUD-Approved nonprofit Guidewell Financial Solutions (also known as Consumer Credit Counseling Service of Maryland and Delaware, Inc.), now provides affordable rental counseling services. Its certified counselors help clients manage their budgets, save, build a positive rental history and learn about their rights and responsibilities -- skills they will be able to use when time come to purchase a home. Safe and affordable housing is a basic human need. But fulfilling this need isn’t always easy, especially for families who live on a tight budget or paycheck-to-paycheck. Of the low-income Americans who rent, more than 60 percent spend over half of their gross income on housing. When these families face rent increases or experience financial setbacks, they may fall behind and face eviction. To avoid this stressful situation, nonprofit Guidewell Financial Solutions has launched a rental counseling initiative. The purpose for the program is to help renters learn to budget, save, and to know their rights and responsibilities, so they are more likely to succeed. Almost 40 percent of Americans currently rent. Young people just starting out, empty nesters, immigrants, and seniors looking to downsize are all prime rental candidates. Effective rental counseling provides these clients with budgeting and saving strategies to help them stretch their household finances farther. Good personal finance habits and informed decision-making also offer an economic gateway, preparing some for future homeownership. Where things go from there depends on the client’s situation and personal goals. Clients work with their certified counselors to create a realistic and manageable budget and detailed Action Plan. These tools provide clients with a step-to-step guide for reaching their goals or dealing with any rental issue they may encounter. For clients who hope to afford a nicer apartment or transition to homeownership, saving and credit building may be primary goals. The counselor helps the client carefully track where his/her money is going, reduce expenses, and consider savings options, such as opening a monthly direct savings account. Together they may also access and review the client’s credit report and discuss strategies for developing or improving credit. Guidewell Financial’s recently began a place-based partnership with University of Maryland, Baltimore to help local West Baltimore residents gain financial literacy and essential housing skills. As part of this effort, the agency has a certified housing counselor on site at UMB's Center for Community Engagement (1 N. Poppleton Street, Baltimore, MD) every Wednesday from 10 AM – 6 PM. Rental counseling is also available at Guidewell Financial’s other local offices in Maryland and Delaware and by phone. To make an appointment, call 1-866-731-8486. 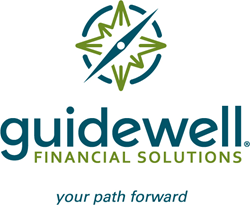 To learn about the agency’s many other services, visit its website at guidewellfs.org.